A lifelong fantasy for many travelers is to leave their everyday existence behind and take a trip around the world. Even if you are fortunate enough to have an extended amount of free time to circumnavigate the world, putting together a round-the-world itinerary can be complicated and potentially expensive. But let’s say you do have the time, the money, the miles, or the points to make this epic adventure a reality. Where do you even start? Is it currently possible to purchase such a ticket? Today you’ll discover that it’s not only possible, but it’s probably less expensive than you thought — and of course there are ways to pay for it with miles/points. As usual, we’re up for the challenge of providing you with all the information you need to book an around-the-world ticket. Some creative ways to book your own around-the-world flights. Let’s get started building our around-the-world experience! What Is an Around-the-World ticket? An around-the-world plane ticket (we’ll use the common “RTW“ for short) is generally a series of flights that start and end in one country, after taking you circling the globe in one direction and stopping at several cities en route. You could think of this ticket as a world airline pass that allows you to build a custom itinerary of your choosing within the guidelines of the airline alliance or other provider selling you the ticket. With a RTW ticket, your entire global itinerary is on 1 ticket, so you’ll possess a world road map of sorts to follow during your journey. Changes are usually allowed, and you should have the ability to schedule enough time between destination cities to visit the surrounding areas. Most RTW tickets are valid for up to 1 year. You’ll understand more about whether a RTW ticket is right for you once we’ve explored the possibilities for purchasing a RTW ticket and some of the pros/cons of doing so. Airline alliances are groups of individual airlines with formal agreements in place to cooperate with each other. These alliances facilitate global travel for their customers by utilizing these partnerships to create a worldwide network that connects destinations. Purchasing a RTW ticket from an airline alliance allows you to leverage the network of partner airlines to visit just about any part of the world, all on 1 ticket. Another advantage of buying a RTW ticket with an airline alliance is that when changes need to be made, the airline making those changes for you has access to view/change your entire ticket. Let’s explore the option of building a RTW ticket and purchasing it from one of the 3 major airline alliances: Star Alliance, Oneworld, or SkyTeam. The Star Alliance network reaches 300 destinations in 191 countries, allowing you to visit “98% of the world’s countries” (according to its Round the World website). Seems like the perfect place to start building an around-the-world ticket! The price of a Star Alliance RTW ticket is determined by the total mileage and class of service. There are 4 levels of pricing at a maximum of 26,000, 29,000, 34,000, and 39,000 miles flown per itinerary. Each RTW ticket is allowed 16 flights and 15 stopovers of greater than 24 hours, while certain special economy fares allow a maximum of 5 stopovers. Starting with a standard RTW itinerary of New York – Madrid – Cape Town (South Africa) – Hong Kong – Sydney – New York, I used the Star Alliance Book and Fly tool to build a sample ticket. The tool was easy to use and quickly priced out the economy ticket at $6,598. Here are 2 additional RTW itinerary suggestions from the Star Alliance website with estimated pricing. The Star Alliance Book and Fly planning tool is user-friendly, but it’s easy to get carried away just clicking on cities you want to visit. You might want to start by reviewing some sample itineraries first. Hot Tip: The Star Alliance suggested itineraries are worth reviewing because they automatically apply the maximum mileage and stopover limitations that keep pricing under control. Maximizing these restrictions when building your own itinerary from scratch is more challenging, so customizing the suggested itineraries serves as a better starting point. 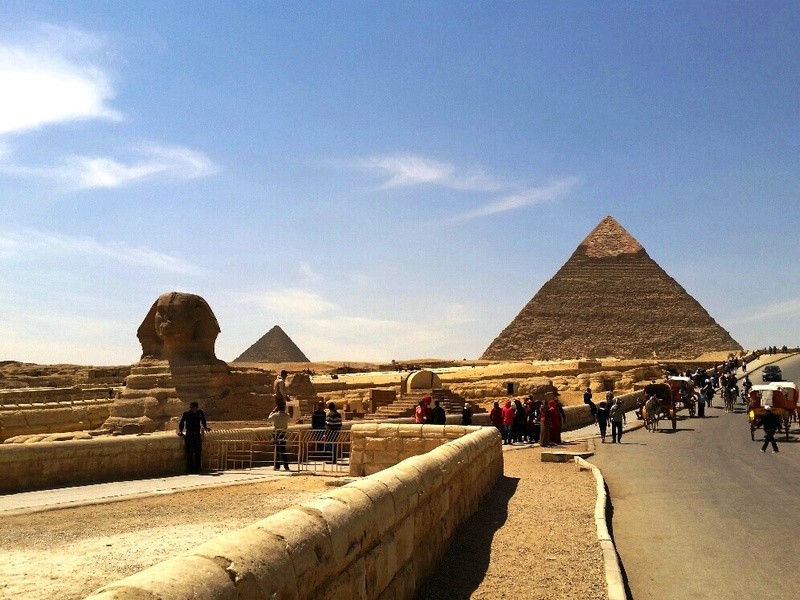 Building your own RTW itinerary is simple with the Oneworld Explorer option. Image courtesy of Oneworld. Either way, the cost of your RTW ticket will vary significantly depending on where you begin your trip, the number of cities visited, and the class of service you select. This ticket is good for up to 16 total flights on your itinerary. As an experiment, I created a Oneworld Alliance economy RTW ticket on their website using the Oneworld Explorer option. My itinerary begins in New York and traverses 5 continents (covering a distance of approximately 30,790 miles) for around $6,526 including taxes. Then I created the same economy RTW itinerary using the Oneworld Explorer option beginning from Cape Town, South Africa before visiting all the same cities as in the first itinerary. The cost of the RTW ticket beginning in Cape Town was significantly less: $4,695 including taxes. Booking your RTW ticket through the Global Explorer option requires you to work directly with a member airline such as American Airlines or British Airways. Your first flight between continents is booked initially, and then all subsequent flights are left with open dates so you can schedule your trip as you go. Note that there are mileage limits on the Global Explorer ticket, and even ground transport between flight destinations counts towards those limits. Hot Tip:The Oneworld Explorer RTW ticket allows you 16 total flights. Since it counts them all equally (whether 1 hour or 12 hours in length), you could purchase inexpensive short flights as needed and utilize the RTW ticket for just the long-haul flights to maximize its value. A RTW ticket on SkyTeam allows 16 flights and a total of 38,000 miles for the entire RTW itinerary. I used SkyTeam’s RTW ticket planner to enter the same itinerary from NYC as for our Star Alliance/One World example (NYC-MAD-CPT-HKG-SYD-NYC). The estimated price for an economy ticket was $8,208, compared to $6,598 on Star Alliance and $6,526 on Oneworld. Beginning our itinerary in Cape Town, South Africa and visiting the same cities (CPT-HKG-SYD-NYC-MAD-CPT) brought the price down to $6,566 on Sky Team. Sky Team has some suggested themed itineraries that are much less expensive, and some are quite creative! See the example above for 2 of their culinary journey recommendations. All in all, SkyTeam Go Around the World Pass prices appeared higher than comparable tickets with the other airline alliances. If you really need to fly SkyTeam for your RTW itinerary, I’d start with some of the themed itineraries you like and use those as a basis to incorporate other cities along the route in an effort to keep pricing down. Hot Tip: Beginning your RTW ticket from a different country can help you save significantly. You’ll need to begin and end your itinerary in that country, but your bottom-line RTW fare could be much lower (even adding the cost of a positioning flight). According to Kiwi.com’s 2017 flight price index, the cheapest countries for purchasing tickets include Malaysia, South Africa, Spain, Sweden, Thailand, and Indonesia. Building a RTW itinerary with AirTreks is fun and easy. Image courtesy of AirTreks. The best is yet to come in our quest to find an around-the-world ticket — now we’re looking outside of the airline alliances to a popular third-party company known for its expertise in putting together affordable and creative RTW tickets. AirTreks has been constructing RTW tickets since 1987, so they’re an established company with a wealth of RTW knowledge. This is one of those sites you should visit when you want to daydream about travel, because it allows you to play with different RTW itineraries and see the pricing immediately. It’s also possible you’ll start imagining yourself traveling on one of their sample itineraries! Let’s take a look at some of these actual RTW economy itineraries and see how pricing and restrictions stack up against the airline alliances. As you can see, the prices for RTW tickets booked with AirTreks are much lower than those booked through the airline alliances. One reason is that AirTreks can use a combination of airlines/alliances and isn’t restricted to certain partner airlines. On the flip side, because you select your fixed dates and flights up front, changes to your AirTreks RTW tickets can be subject to airline change fees. That said, you are paying much less for the ticket, so there’s certainly a trade-off here. In addition to the price, AirTreks tickets allow you to begin and end your journey anywhere, travel in any direction, and fly on any airline without mileage restrictions. They offer the most competitive pricing for itineraries with more than 3 stops. They’ll also help you build a custom itinerary if you desire, and stick with you after you depart on your RTW ticket should you run into any transit problems along the way. Hot Tip: Selecting a sample itinerary and tweaking it to your liking can save you money over building an itinerary from scratch on your own. This is because the airline alliance or third-party seller has factored in all the rules that need to be followed to keep the cost down while maximizing the length and number of destinations allowed. While none of the domestic carriers currently offer the option to purchase an around-the-world ticket with miles, there are a few international carriers who do. Let’s take a look at your options for using your miles for a RTW ticket. One of the most popular award redemptions for a RTW ticket is using Singapore KrisFlyer frequent flier miles. The RTW ticket utilizes Star Alliance partner airlines and includes visits to 7 cities serviced by these airlines. You’ll need 180,000 KrisFlyer miles for economy, 240,000 KrisFlyer miles for business class and 360,000 KrisFlyer miles for first class. Accumulating Singapore KrisFlyer miles is made easier thanks to the number of transfer partners including, American Express Membership Rewards, Chase Ultimate Rewards, Citi ThankYou Points, and Marriott. A Korean Air SkyPass RTW ticket can offer good value, as you’ll spend only 140,000 miles for an economy ticket and 220,000 miles for a business class ticket. The pass covers 3 defined areas including North/South America, Europe/Africa/Middle East, and Asia/Oceania. Korean SkyPass utilizes SkyTeam partner airlines plus a few additional non-partner airlines for its destinations, and it includes the possibility to visit up to 9 cities during the entire journey. The pass does have several transfer, stopover, and backtracking restrictions. You must purchase the SkyPass at a Korean Airlines ticketing office. Korean SkyPass transfer partners include Chase Ultimate Rewards and Marriott. Lufthansa is another Star Alliance carrier that offers a RTW ticket you can purchase with miles. The RTW ticket with Lufthansa utilizes Star Alliance partner airlines and includes 1 Atlantic crossing, 1 Pacific crossing, a maximum of 10 flight segments, and 7 stopovers. There is also a requirement that beginning and ending intercontinental flights must have at least 10 days in between. Transfer partners to Lufthansa Miles and More include Hilton, IHG, and Marriott, but there are plenty of ways to earn Miles and More frequent flier miles. Aeromexico offers a RTW Go Round World Pass ticket beginning at 244,000 km in economy, but you must call to book it. Qantas, ANA, and Aeroplan also offer RTW tickets you can purchase with miles. Bottom Line: It is possible to build your own around-the-world trip using points and miles versus purchasing a RTW ticket. Here’s an example of an incredible journey using a combination of points/miles/cash. Add Sydney, Australia to your RTW ticket and enjoy some time at Bondi Beach. Image by Christine Krzyszton. By now, you’re probably realizing how complicated it can be to build an around-the-world itinerary. But if you’re savvy at booking flights, it is possible to do it yourself. If you select all the places you want to visit in advance, you may end up with an expensive adventure. But if you start by allotting a time slot for this journey and are flexible with your destinations, you can begin your trip with an affordable flight and build from there. For example, let’s say you find an affordable one-way flight or award ticket to Sydney (or any major city) that fits your allotted time off. With that flight booked, you can use Sydney as the departing airport and utilize Google Flights or Matrix/ITA software to find an affordable flight or use miles to secure an award ticket for your next destination. Letting the price of the ticket (miles or cash) determine your next destination could be the most affordable way to build the RTW ticket. While not for everyone, I do admire the people I know who have built their RTW adventure using this edgy method! One question that may enter your mind when building a RTW ticket is whether you’ll earn miles on your journey. The answer is generally yes, but it is based on the airlines involved and fare classes within your itinerary. When booking the ticket (whether it’s with one of the airline alliances or with a third-party such as AirTreks), just let them know you want to earn miles and they’ll work with you to find flights that qualify. You may have to purchase a slightly higher fare to earn the most miles from your trip, but the results may be worth it. Stick to major cities for your RTW ticket and purchase or use miles for short-haul flights as needed. Consider land transportation between cities to maximize your experience and reduce costs. Get the best price possible for your RTW ticket by starting your itinerary in a country where it is cheaper to purchase the RTW ticket. Be flexible regarding your destinations and dates. Use frequent flier miles for award tickets to supplement your journey, or position to a more affordable city to begin your journey. Buy travel insurance. After all, you’re going on a trip around the world! Make sure you’re using a credit card that has no foreign transaction fees! Paying the extra premium to purchase a RTW ticket from one of the airline alliances may or may not be worth it to you. You can save money by purchasing through third-party AirTreks with minimal sacrifice. With that said, making changes appears more flexible and less costly with the airline alliances’ RTW ticket, but you’ll still have to follow their rules when building your itinerary. For example: no backtracking, go only in one direction, etc. AirTreks’ RTW tickets aren’t as flexible when it comes to making changes, but you can afford a few change fees and still be paying less overall. Purchasing an around-the-world ticket with miles is a disappearing option; no domestic carriers even offer it anymore. This is most likely because you can use one-way award flights to duplicate the same itineraries (albeit probably using more miles than the flat-priced RTW tickets). If you want to purchase a RTW ticket, consider using one of the sample AirTreks itineraries that is affordably priced, and tweak it to your liking. Or go completely wild, and build your own free-form RTW itinerary where your destinations are determined by the cost (in points/miles/money) of the ticket. How does a round-the-world ticket work? A round-the-world ticket is a series of one-way flights that circle the globe and are all booked on one ticket. You can purchase a RTW ticket from the airline alliances or from other third-party sellers. RTW tickets usually have restrictions and rules you must follow such as traveling in one direction, no backtracking, and beginning/ending in the same country. How much does a round-the-world ticket cost? The cost of a RTW ticket can vary substantially but you can purchase a RTW economy ticket with just a few stops for as little as $1500. The number of stops you make and the fare class of the ticket can affect pricing. For example, you may want to fly business class and visit a dozen cities so your cost will be higher. In some cases extra stops do not increase the price. RTW ticket sellers usually have sample itineraries illustrating a large number of stops so you can compare prices. Where can I buy a round-the-world ticket? You can purchase a RTW ticket from airline alliances such as Star Alliance, One World, and Sky Team, from some specific foreign airlines or from third-party sellers such as AirTreks. TCS World Travel also offers high-end luxury around-the-world tickets. How long is a round-the-world ticket good for? A RTW ticket issued by the airline alliances, specific airlines, and AirTreks is good for one year from the date it is issued and cannot usually be extended. An excellent article that is well-researched and packed with tips. I wasn’t considering a RTW journey but now you have me dreaming of the perfect itinerary! It’s good to hear that you’re inspired to take a RTW trip! Considering the fact that the ticket can be used for an entire year expands the possibilities. Thanks for reading and for your comment.